This han displays an interesting layout of the courtyard with its unique design comprised of iwans. 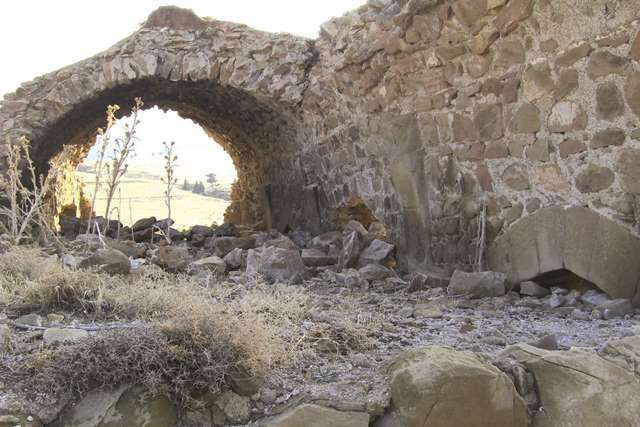 The Ulukişla Kamereddin Han is located on a hill along the Konya-Adana-Ayas caravan route, about 35 km outside of Ereğli and 15 km southwest of Ulukışla near the village of Kilan. No remaining traces of the ancient caravan route, which would have passed immediately in front of the structure, exist today, due to construction work carried out since the Ottoman era on this important road. This region of spectacular and dramatic beauty serves as the natural corridor connecting Central Anatolia to the Mediterranean Sea, and was called the "Cilician Gates" in ancient times. The foothills of the Taurus Mountains constituted the southern boundary of the Seljuk state, which was bordered by the neighboring Armenian Kingdom of Cilicia. 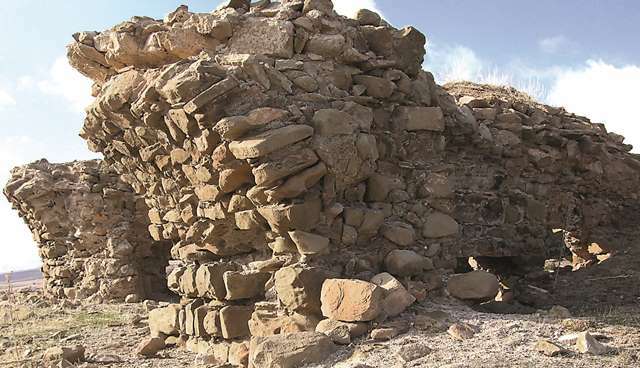 A common practice during the Seljuk period was the construction of defense castles on the hills of the region to ensure the safety of the roads. 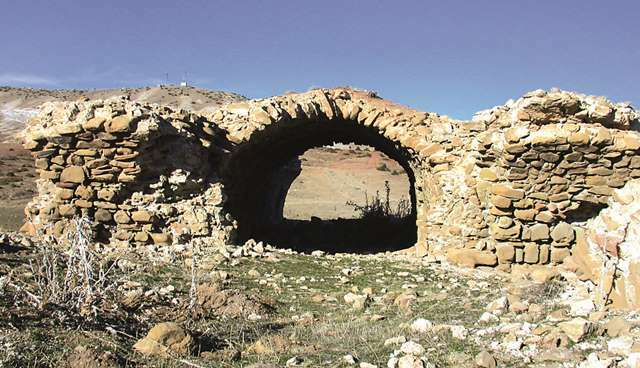 A single-arched bridge with Seljuk construction features was located on this road on the way to the han. It is believed that this was the last han on the road before Adana. A very fine Ottoman han, the Mehmet Pasha Han was built in Ulukisla in the early 17th century. It served as the inspiration for one of the most famous poems of Turkish literature, Han Walls by Faruk Nafiz Çamlibel. Other hans were built along this route in the Ottoman period. The han is called the Kamereddin Han by the locals. Although the Ulukışla Kamereddin Han is located on an important caravan route used by travelers coming from both the north and south (even today it is heavily-trafficked with long-haul truck trailers), travelers to the region have made no reference to it. However, it is certain that somehow the name Emir Kamereddin became associated with this han. As there is no inscription, the construction date of the structure must be determined by analyzing the plan. The plan of this han is comparable to similar examples built in the first half of the 13th century, such as the Tahtoba, Çekereksu and Kızılören Hans. These features include a covered section, built with three naves, and the service sections built as iwans surrounding the courtyard. The construction may have been begun as early as 1235, in view of similar nearby examples and the conquest of the region and the appointment of Kamereddin as ruler. No inscription has been found. The name of the patron and the construction date of the han are not known. However, in view of its name, it is believed to have been sponsored by Emir Kamereddin, the governor of the region in the Seljuk era. Ibni-Bibi thus provides detailed information concerning the historic identity and personality of Emir Kamereddin, and indicates that he undertook significant construction projects in the vicinity. Another primary resource for the Seljuk era is the so-called “Anonymous historian of Konya”, who wrote the Tarikh-I al-i Saljuq (Saljukname). This small work written in Persian provides brief information of each of the sultans of the Seljuk era, but he does mention that Kamereddin was still alive in 1238 and ruled the area under the nom de guerre of Meliku'l-Ermen. Vizier Kamereddin is also associated with the construction of another han near Adiyaman. Despite the ruined condition, it has been able to determine the original plan. The han is oriented north-south and comprises a covered section used for lodging and a courtyard with service spaces built as iwans. The two sections are of equal width. The entrances to both sections face south. The majority of the exterior walls have collapsed, and only one section of the courtyard is still standing. 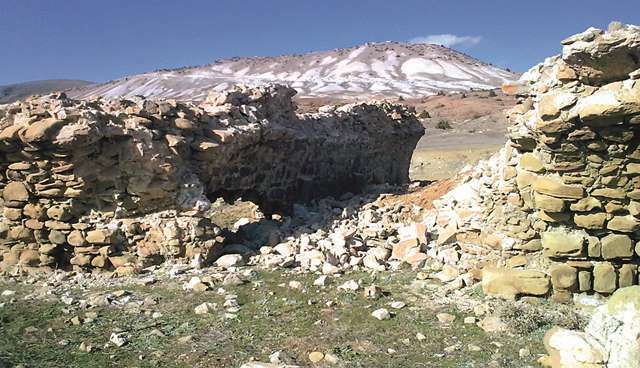 Only the middle section of the covered section has survived, with the side walls mostly in ruins. Courtyard: The layout of the service spaces, located on the south side of the building, has been determined, but all of them are in ruins. The courtyard was designed with six deep iwans covered with pointed barrel vaults positioned vertically beginning at the outer wall and extending towards the middle of the courtyard. The iwans are not connected with each other on the inside. This iwan plan is similar to what is seen in the Kızılören, Kesik Köprü, Sarı, Çekereksu and Hekim Hans. Covered section: The covered section is divided into three naves by two support walls, each carried on three square piers. The middle nave (4m30 wide) is covered with a pointed barrel vault extending in the north-south direction, and the side aisles (3m20 wide) are covered with pointed barrel-vaults extending from the side walls towards the middle nave. The arches supporting the side aisles, covered with barrel vaults, are built lower than the others. Due to the ruined state of the han, it is difficult to determine such features as the slit windows or support towers. There are no remaining traces of the crown door of the covered section. Two spaces, added later during the Ottoman period, are located adjacent and parallel to the walls of the covered section in the eastern corner of the courtyard. The han has no decoration. The materials used in the construction of the han were mostly pitch-faced rough stones. The vaults forming the covering of the han were made of pitch-faced stones, while the arches were built using smooth-faced stones. No traces of decoration can be seen on the structure. The han is in ruins, with only a few parts in the courtyard and a some structural elements of the middle nave still standing. Anonymous Historian of Konya. Tarikh-I al-I Saljuq aka Saljukname. in Anadolu Selçuki Devleti Tarihi, trans. M. Nuri Gencosman. Ankara: Uzluk Basımevi, 1941. Aslanapa, Oktay. Anadolu'da İlk Türk Mimarisi, Başlangıcı ve Gelişmesi, Atatürk Kültür Merkezi Yayını, Ankara, 1991. Bayhan, Ahmet, Ali-Fikri Salman. “Adıyaman/Gölbaşı’nda bir Anadolu Selçuklu Kervansarayı: Kamereddin (Derbend Ağzı) Hanı”, Sanat-Atatürk Üniversitesi Güzel Sanatlar Fakültesi Dergisi, 7, Erzurum, 2005, pp.1-10. Cahen, Claude. Pre-Ottoman Turkey: A general survey of the material and spiritual culture and history, c. 1071-1330, 1968, p. 271. Eravşar, Osman. Yollarin Taniklari (Witnesses of the Way), 2017, pp. 242-247. Erdmann, Kurt. Das Anatolische Karavansaray des 13. Jahrhunderts, I, Berlin, 1961. Ibn Bibi. El Evamirü'l-Ala'iye, Fi'l-Umuri'l-Alai'iye (Selçuk Name), trans. Mürsel Öztürk, 1996, p. 353. Özergin, M. Kemal. “Anadolu’da Selçuklu Kervansarayları”, Tarih Dergisi, XV/20, 1965, p. 163, No. 117; p. 147 No. 22. Özkarcı, M. Turk Kültür Vakiflari Envanteri 51: Niğde. Ankara:Turk Tarih Kurumu, 2014, p. 1500. Ünal, R.H. "Doğu Anadolu’da Bilinmeyen Üç Selçuklu Hani". Arkeologi-Sanat Tahrihi Dergisi, II, 1983, pp. 109-109.